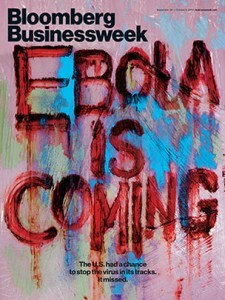 The death of Thomas Duncan in Dallas on Oct. 8 has provided another turn in the debate over containing Ebola. Infected with the virus, Duncan had flown from Liberia to Brussels to Washington to Dallas. 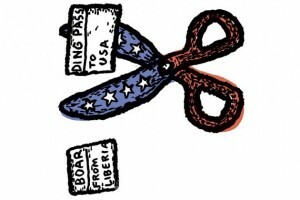 That revelation provoked a blunt response from a few American politicians: Ban flights from West Africa. Texas Representative Ted Poe, a Republican, has written to the Centers for Disease Control and Prevention asking it to recommend travel restrictions. In a letter to Michael Huerta, the head of the Federal Aviation Administration, Texas Republican Senator Ted Cruz wrote that “it is imperative the FAA take every possible precaution in preventing additional cases from arriving in the United States.” Representative Alan Grayson, a Democrat from Florida, has called for a 90-day ban on travel from Ebola-affected countries to the U.S. The White House is resisting those calls, and that’s the right thing to do. Restricting travel to and from the affected region will have little impact on the already minimal risk to Americans from the Ebola virus. Travel restrictions have a long history as a tool against spreading infections. Quarantine was first used against the plague bacillus in 14th century Europe. At the time, quarantine was pretty much the only potentially effective public-health strategy. (Neither prayer nor pogroms had the desired impact.) The Black Death still exists—there were four cases of human infection in the U.S. in 2012—but we now have a vaccine against the disease. We don’t have a vaccine against Ebola nor a fully developed cure. But like the plague, the disease is an unlikely candidate for epidemic status in the U.S. or elsewhere in the developed world. The only way to contract Ebola is for the bodily fluids of someone who’s exhibiting symptoms to come into contact with your soft tissues—the eyes or mouth, for example. In the worst of circumstances, the average Ebola victim infects one or two other people, compared with 10 or more who can be infected by someone with measles. Isolation of people with symptoms, rather than quarantine of an entire population, can stop an epidemic. That’s why all previous Ebola outbreaks have sputtered, leaving the world with no reported cases in 2010, for example. Controlling illness by quarantine of an entire country or region involves trade-offs. It’s always theoretically possible to avoid risk by completely cutting yourself off from contact, but then you’ll be alone. We take some risk of infection through contact because the benefits of that contact outweigh the risks. Trade is worth one-quarter of U.S. gross domestic product. People want to travel to see family and friends, visit places, work, or invest. We think all that is worth the price of somewhat increased risks of illness. Consider our approach to dealing with illnesses that are far more threatening than Ebola. In an average year, more than 23,000 deaths in America are associated with influenza. But this toll isn’t enough for us to shut the borders in an attempt to keep influenza at bay. The idea that we could completely seal off the U.S. from the rest of the world is laughable. A travel ban would also be counterproductive for the U.S., making the likely global impact of the epidemic far worse. The three West African countries affected need outside support, including the hundreds of medical volunteers who have stepped forward from countries as disparate as the U.K. and Cuba. Banning flights into West Africa will delay the arival of help when every day is critical in preventing an explosion of cases. Banning commercial flights out of the countries will deter people from volunteering to work in the region. With greater support, the three countries bearing the brunt of the epidemic can fight back against Ebola. The lesson of the world’s efforts to stop other deadly diseases is that if we want to reduce our exposure to dangerous pathogens, we have to fight them where they are and when they emerge. It wasn’t until the third decade of our knowledge about AIDS that a significant global effort to respond was made, notably through President George W. Bush’s 2003 announcement of the President’s Emergency Plan for AIDS Relief. Despite the late start, the initiative currently supports treatments for 6.7 million people with HIV worldwide, and the number of new infections dropped by one-quarter from 2001 to 2011. This global progress is the most powerful weapon we have in permanently reducing the risk and cost of infectious disease in the U.S.
We live in a global disease pool. In the end, once a disease begins to spread, there’s no escaping an infection, whether it first appears in Africa, Asia, or the U.S. Travel bans are less effective than hiding under a rock and considerably more costly. To battle continuing epidemics and potential pandemics, we need strong health and surveillance systems in every country and research and development not only for the diseases of the rich (such as cancer and heart conditions) but also for the infections of the poor. Hitting emerging disease threats early and where they emerge is far less costly in terms of lives and financing than trying to play catch-up once they have spread. In July, Kent Brantly and Nancy Writebol, both American medical workers in Liberia, became stricken with Ebola hemorrhagic fever after treating dozens suffering from the disease, which has a mortality rate of 50 percent to 90 percent. They were rushed doses of an experimental cocktail of Ebola antibodies called ZMapp. Cared for in a special ward at Emory University in Atlanta, they recovered within the month. Mapp Biopharmaceutical, the San Diego company that developed ZMapp, is also in a way a White House project. It’s supported exclusively through federal grants and contracts that go back to 2005. It’s too early to say whether ZMapp was vital to the Americans’ survival. There were a limited number of doses available. Mapp ran out after having given doses to the two Americans, a Spanish priest, and doctors in two West African countries, although it declined to say how many. Since appearing in Guinea in December, Ebola has spread to five West African countries and infected 5,864 people, of which 2,811 have died, according to the World Health Organization’s Sept. 22 report. This number is widely considered an underestimate. The CDC’s worst-case model assumes that cases are “significantly under-reported” by a factor of 2.5. With that correction, the CDC predicts 21,000 total cases in Liberia and Sierra Leone alone by Sept. 30. A confluence of factors has made it the biggest Ebola outbreak yet. For starters, West Africa has never seen Ebola before; previous outbreaks have mainly surfaced in the Democratic Republic of the Congo in Central Africa. The initial symptoms of Ebola—fever, vomiting, muscle aches—are also similar to, and were mistaken for, other diseases endemic to the region, such as malaria. Then, when officials and international workers swept into villages covered head to toe and took away patients for isolation, some family members became convinced that their relatives were dying because of what happened to them in the hospitals. They avoided medical care and lied to doctors about their travel histories. Medical staff at local hospitals became scared and quit their jobs. Aid workers trying to set up isolation units or trace infected people’s contacts were attacked by angry villagers. With these countries short on resources, staff, medical equipment, and basic understanding of the disease, Ebola took hold and spread. Some say, the Ebola crisis won't end without military intervention. There have been a number of admirable and vigilant responses, from local doctors and emergency workers to nongovernmental organizations such as Doctors Without Borders. Foreign governments have so far pledged about a third of the $988 million the United Nations says is needed to fight the epidemic. On Sept. 16, the Obama administration announced plans to send 3,000 military personnel to assist with shipping and distribution of medical equipment and supplies. The Americans will also help build treatment centers and train health-care providers in the region. Could a large stockpile of ZMapp have halted the spread of Ebola? No one can say. What’s certain is that the U.S. government hasn’t done a good job taking the idea behind ZMapp and turning it into a treatment. In the 1990s, after revelations of the Soviet biological and chemical weapons programs and the 1995 sarin gas attack in the Tokyo subway, the U.S. handed its defensive drugmaking to the Pentagon. After 2001, the Pentagon budget for biological and chemical defense rose from $880 million to $1.12 billion. Since then, roughly a third of its total budget, about $3.9 billion, has been designated for a list of “biological threat agents.” The list is classified, but it now numbers 18, according to a 2014 analysis by the U.S. Government Accountability Office. Ebola is almost certainly on this list and likely near the top. The Soviet Union had an Ebola program, and Aum Shinrikyo, the cult that released the sarin gas in Tokyo, sent doctors in 1993 to what’s now the Democratic Republic of the Congo on an unsuccessful mission to get an Ebola sample. Then, because the 2001 anthrax attacks on the Capitol in Washington were directed at civilians, the Department of Health and Human Services launched a parallel track in biochemical defense. Soon, the HHS began keeping its own list of biological threats. Over the next two years, the budget at the National Institute of Allergy and Infectious Diseases (NIAID), part of the HHS, jumped from $2.04 billion to $3.7 billion. Two separate arms of the federal government, with a $5 billion annual budget between them, now were focused on the same set of problems but not talking to each other well. And neither was accomplishing what was needed most: producing drugs. By 2006 the White House became aware of an inefficiency. NIAID’s budget went to sponsor basic research at university and commercial labs, but the agency didn’t move its ideas out of the lab, into trials, and through the FDA approval process. The Pentagon’s program also “never got enough money to be a pharmaceutical company". Mapp Biopharmaceutical was looking for more money. Founded in 2003, the company has nine employees (as of Aug. 5) and no external investors. For about a decade, it’s taken an approach to Ebola that had been largely abandoned. Rather than develop a vaccine, which triggers the body to create its own antibodies—defenses against a virus—Mapp worked to develop monoclonal antibodies, a ready-made supply that can be introduced into the body as a therapy after infection. The company didn’t respond to requests for comment. Mapp had been funded through grants from NIAID, the civilian agency that did only basic research. While NIAID continued to fund Mapp until 2013, the grants were small, generally around $1 million a year, enough to keep the lights on but not enough to get ZMapp into clinical trials. 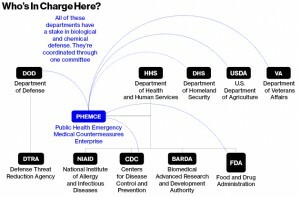 ... the 2011 presentation concluded, the agency lacked “translational S&T project management discipline,” which is a bureaucratic way of saying that there was no way to take ideas and move them down the long path toward a drug approved by the FDA for production or technology ready for the Pentagon to deploy. Mapp received a commitment from DTRA in February 2011 for MB-003, ZMapp’s predecessor. This means that the antibody had been deemed a worthy idea but needed to go through a review process before any actual money could be disbursed to develop it. And that’s when the ZMapp program really stalled. ... people with pharma experience, she says, in turn failed to show the patience necessary to work in any government agency. “Frequently, what [government contracting officers] were requesting was ridiculous,” she says, “but you know what, you just do it.” One trick to federal contracting, she explains, is to know when not to fight. What Will Ebola Do to Economies?